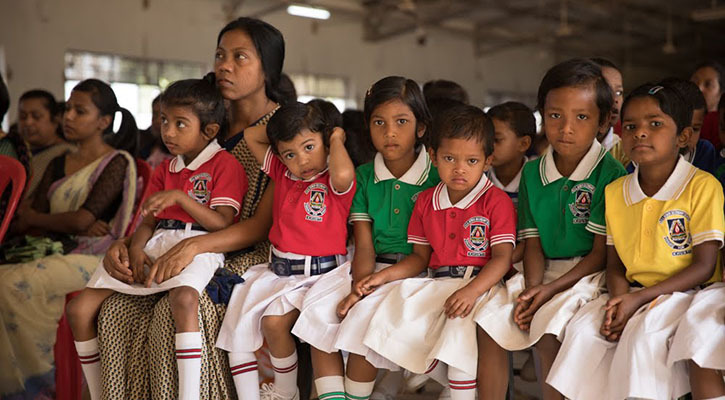 Khunti Seventh-day Adventist School in India has an enrollment of 1,300 students, a great reputation in the community, but inadequate space. Founded in 1937, the school educates children from nursery to high school, with half the student body living on-campus in the dormitories. Currently, elementary students are scattered throughout the campus in old buildings, and there is no space where the entire student body can gather. Because of Khunti’s strong reputation in the area, many of the local community kids attend, and 48% are not Adventist. However, the lack of space may soon become a deterrent for parents to enroll their children, if not addressed. Earlier this year, Maranatha Volunteers International agreed to help ensure the future of this long-standing institution by constructing a large school building with multiple classrooms, offices, and a central auditorium. This will help alleviate the lack of space and create a better learning environment for the students. “When the new building is complete, the students will have light, bright classrooms to study in and a place for them to gather as a student body,” says Lloyd. “Maranatha’s work on the campus will help to further enhance the school’s ability to shape students who are ready to serve and influence others for eternity.” Maranatha has already begun digging the foundation so it can be poured before the rainy season. Volunteer groups are scheduled to help build the new structure, starting later this year. Volunteer to help build this new structure for the Khunti Seventh-day Adventist School or donate to India.